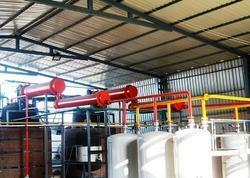 Offering you a complete choice of products which include used motor oil recycling plant. Our firm has been successfully satisfying the varied requirements of our esteemed customers by providing Used Motor Oil Recycling Plant. We have production area with experienced team to manufacture these plants. It is highly well-liked for its flawless design, top performance and longer working life. We handover plant to customers after complete installation and taking 5 trial batches for full satisfaction of customer.